Yes, I usually tend to travel on a budget (I AM a student, after all…). But I don't really completely fit into the typical description of what a “budget traveler” is. Yes, I try to find cheap flights and take trains/buses when I can. Yes, I sometimes backpack. Yes, I stay in hostels and rented rooms most of the time. But I'm not about sacrificing comfort when I really want/need it just to save some money. Case in point: This past summer, I spent 2 months traveling around Eastern Europe, the Balkans, and the UK. I did a couple tours, stayed in hostels, rented apartments, and crashed with friends along the way in order to save some money. Most of the time, I was NOT sleeping in luxury. Halfway though my trip, though, after having shared hostel/guesthouse rooms with multiple people for the previous 3 weeks, I'd had enough. I needed some space to myself. I needed a break from the life of a budget traveler. 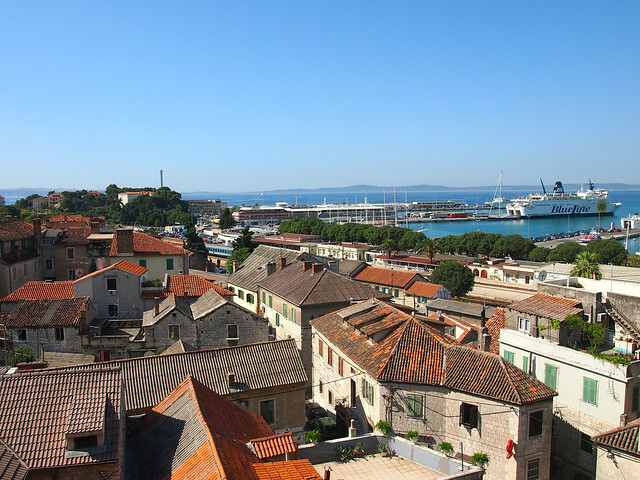 So, when I realized I'd have a night on my own in Split, Croatia after my Busabout tour ended, I decided to splurge and celebrate my freedom from itineraries and crowded hostel dorms. 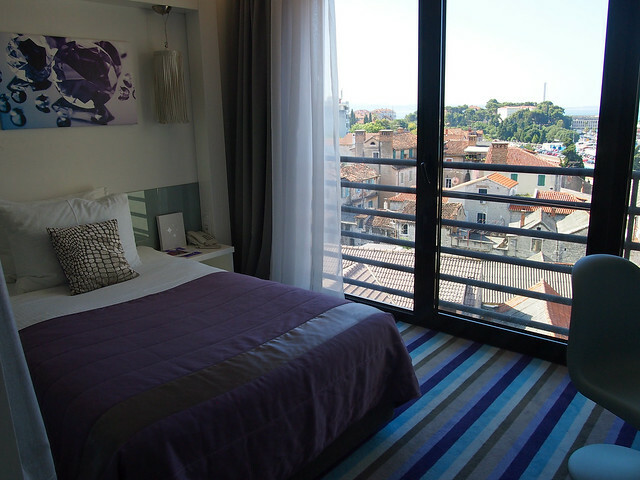 After a quick Internet search and ruling out a few places that were already full since I was booking things so last-minute, I finally settled on Hotel Luxe — a boutique hotel located a short walk from Diocletian's Palace in downtown Split. 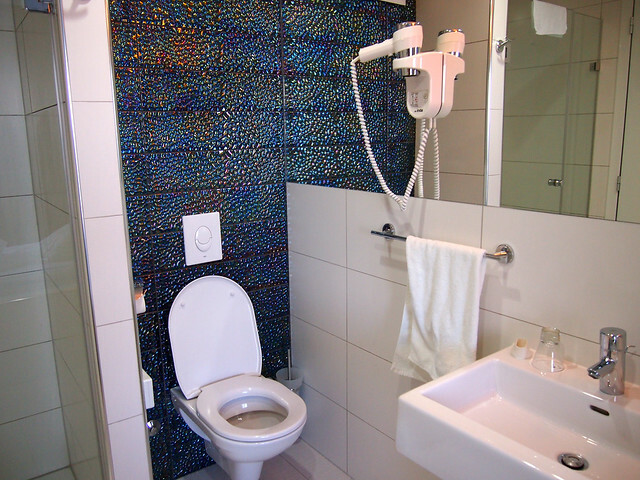 The room was bright, decorated in a funky, modern way, and incredibly comfortable. The big window let in lots of light, and offered me a great view out towards Split's harbor. 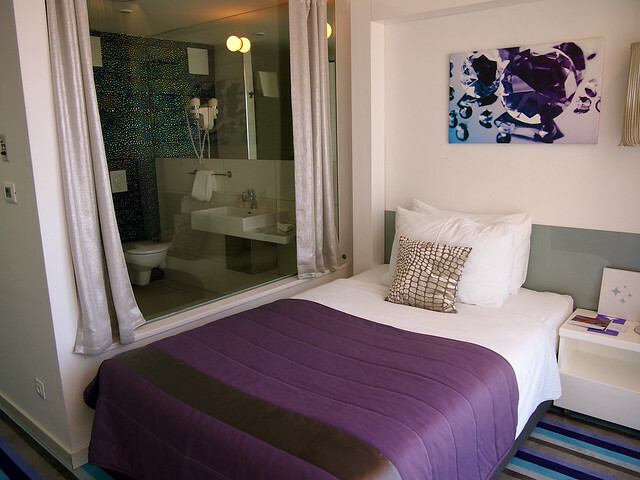 Plus, the hotel's color scheme is PURPLE! I love purple. 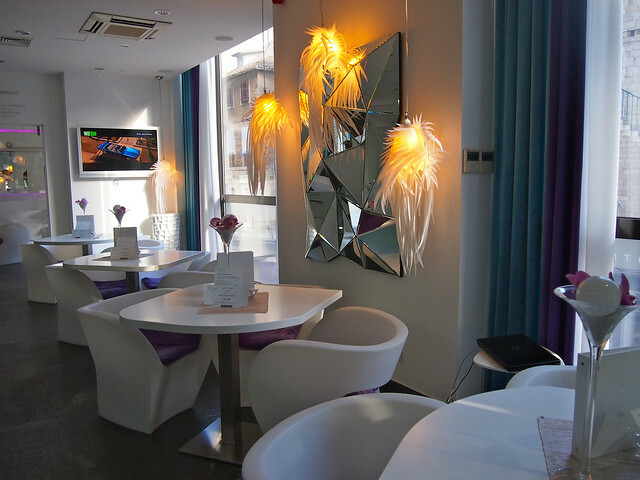 Hotel Luxe is located an easy walk from Split's city center, but is far enough away that it's really quiet at night. Perfect! Free wifi, plenty of power points, plush bath robes, air conditioning, and satellite TV — this room was like a dream. Throw in breakfast, a welcoming lobby, and a full-service spa downstairs, and you could easily spend all your time in the hotel. The staff was friendly and spoke English exceptionally well — always a plus when you're traveling solo in a foreign country! For a budget traveler, Hotel Luxe may not be within reach. Single rooms like the one I stayed in start at 140 Euro per night during the summer months, which is a BIG jump in price from nearby hostels. But, like I said, I was willing to splurge to spend one night in luxury. Even backpackers need to be pampered sometimes! Note: I did receive a 15% discount on my stay at Hotel Luxe. All opinions, however, are completely my own. What's it Like to Travel with Busabout?